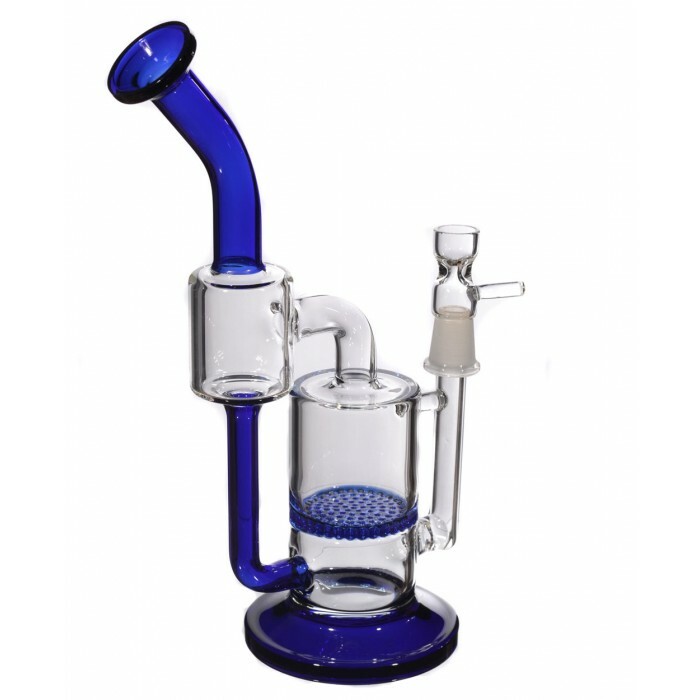 10” Honeycomb to Tornado Chamber Recycler - Blue -The Greatest Online Smoke Shop! 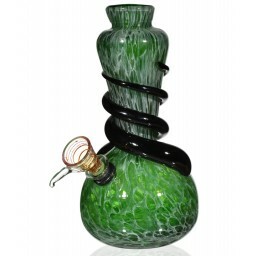 This beautifully handcrafted item is the newest generation of glass water pipes. You will literally see the water recycle back to the original water chamber. Besides looking super cool, this also acts as a splash guard as the water is forced to go down and back into the main water chamber. Save the earth and start recycling please. 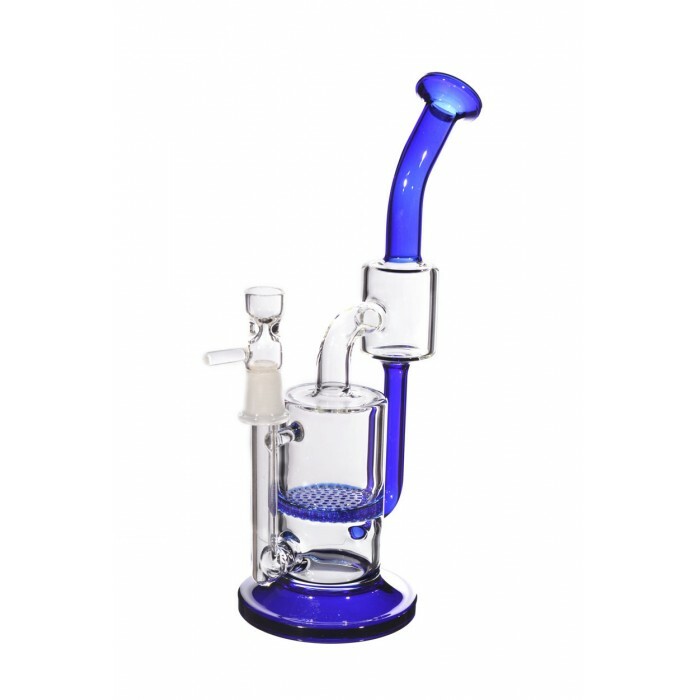 It has a beautiful blue honeycomb, the honeycomb disc features many tiny slots, which in turn cool off the smoke for a nice smooth hit. 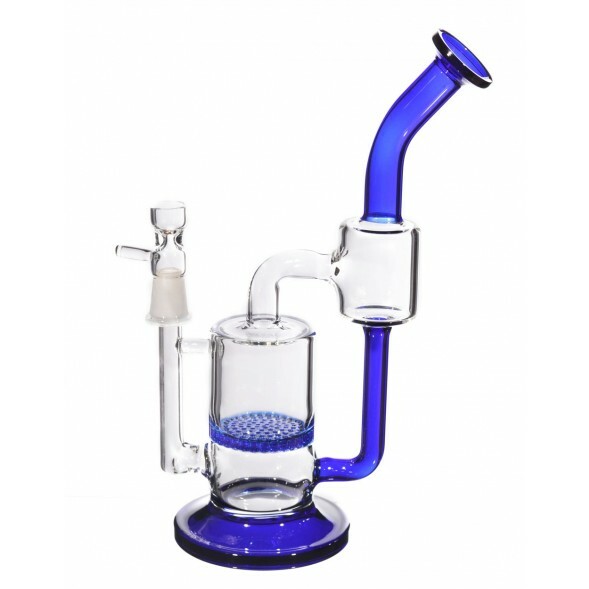 Besides cooling smoke off, honeycomb pipes look wicked sick when you smoke through them, as they create a storm of tiny bubbles.  The honeycomb disc is also known as a disc diffuser pipe. The tiny slots in the disc forces the smoke to be diffused. Diffused smoke means nice and cooled off smoke for a smooth hit. 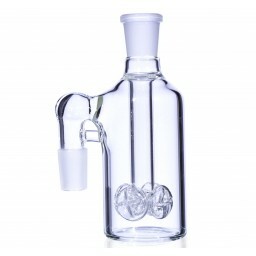 This water pipe is designed to give you an exquisitely smooth smoking experience. 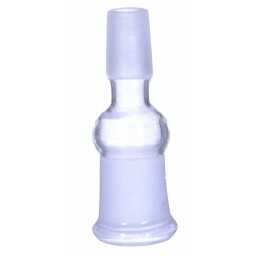 This pipe starts with smoke passing through Honeycomb perc to the tornado chamber. 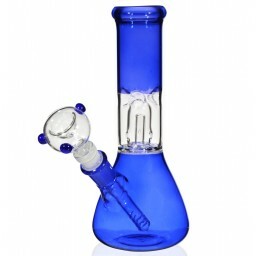 The super cool thing about this pipe is that the neck, base and honeycomb comes in a nice blue color. 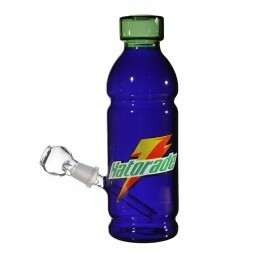 Its bent neck makes for an enjoyable and comfortable smoke. 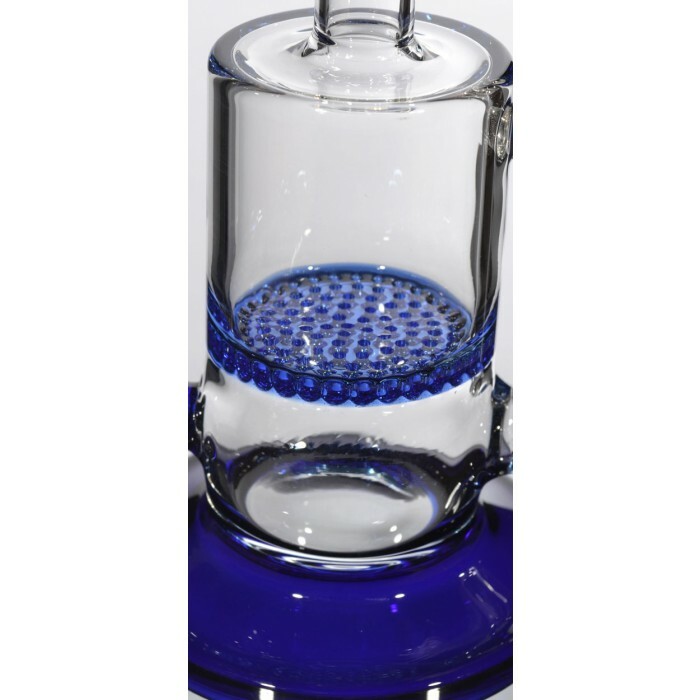 Made of high quality borosilicate glass. Dry herb bowl included, 3.5" base diameter, 1.5" diameter water chamber. 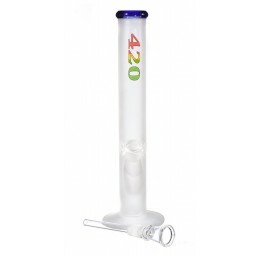 Water pipe’s 14 mm male joint comes with 14 mm female dry bowl.